Once the sources of risk and return are understood, the task of putting together a portfolio is a relatively simple one. 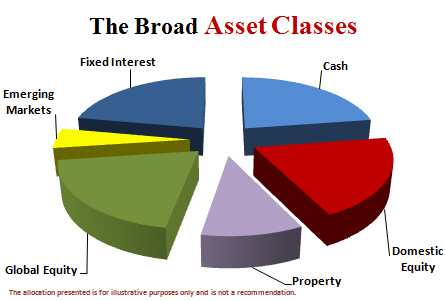 The broad asset categories of a portfolio are growth or defensive. Growth assets include local and international shares and property. Growth assets offer better returns, with more volatility. 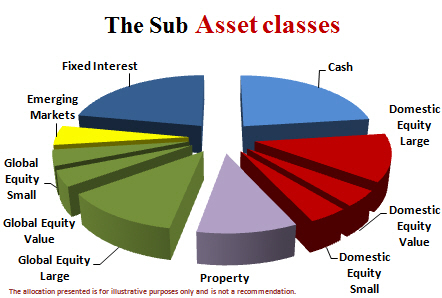 Defensive assets include cash and fixed interest. Defensive assets are less volatile, but offer lower returns. How your portfolio is tilted towards growth or defensive assets depends on your personal situation, age, investment goals and risk profile. 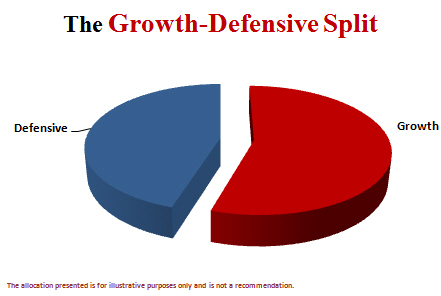 After the Growth-Defensive split, those categories are broken into broad asset classes. For Growth, the choice is domestic and global shares, emerging markets and property. In Defensive, the choices are cash and fixed interest. This step divides domestic and global shares into three further classes: large, value and small. Tilting a portfolio further towards value and small shares increases the expected return; however, it does come with higher risk. These steps in asset allocation account for more than 90% of portfolio performance1. In contrast, market timing and picking individual shares have a minor influence.